TORONTO, November 15, 2013 – Canada’s Premiers met today to continue their focus on jobs and the economy. 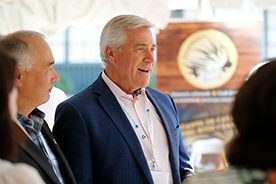 In order to grow the economy, Premiers are united in their commitment to provide skills training to all Canadians who want to participate in the workforce. They support evidence based programming that has been proven to help Canadians. 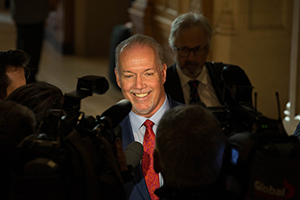 Consultations led by Premiers Clark and Alward confirmed that the proposed Canada Job Grant will not work for employers or the most vulnerable Canadians. As proposed, the Canada Job Grant would focus training funds on those that already have jobs, and leave unemployed Canadians behind. 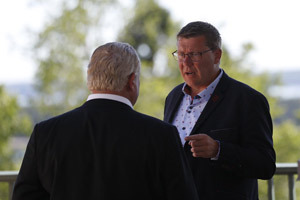 Premiers Clark and Alward will lead efforts to develop a counter proposal that allows Canadians, including the most vulnerable and unemployed, to receive the training that they need. 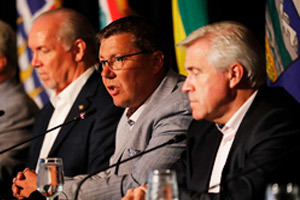 Premiers reaffirmed their position that provinces and territories must be able to opt out with full compensation. 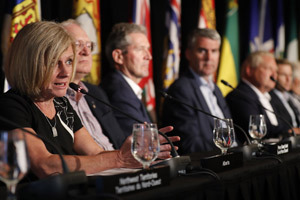 Premiers also discussed a number of other priorities important to economic growth including modernizing Canada’s fiscal arrangements, enhancing retirement income security, international trade, and investments in infrastructure. For further details, please consult the media backgrounder.